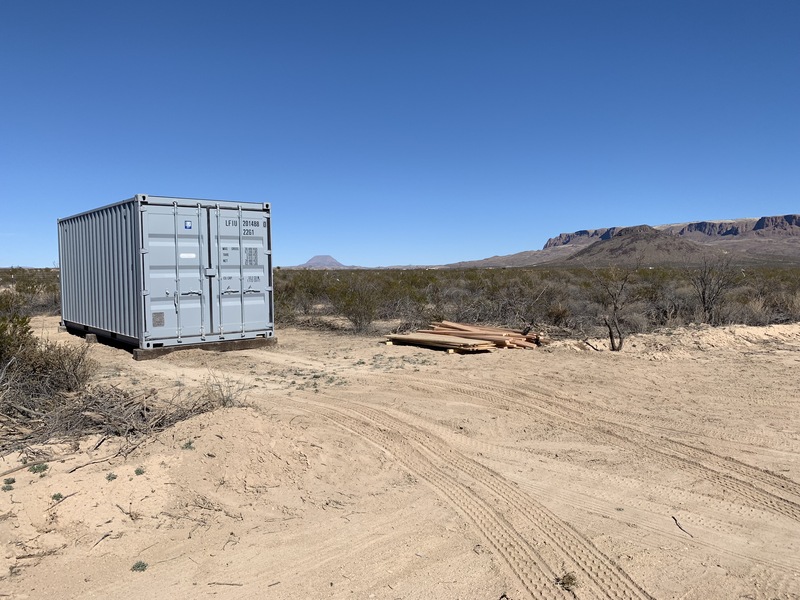 As the year draws to a close, it’s hard to believe that our journey to develop our little off-grid property in the Big Bend Valley section of Terlingua Ranch started only ten months ago. We still can’t believe that we own a few acres situated right smack in the middle of some of the most amazing views in Texas. The really cool thing is that all of the views of the distant mesas and mountains, of the magnificent sunrises and indescribable sunsets, and of the starry, starry nights are all free of charge. Every time we visit our little place we still shake our heads in awe as we breathe in the wonder of it all. One of the first things we did was to set a timeline of things we wanted to see happen before the first anniversary of our purchase. 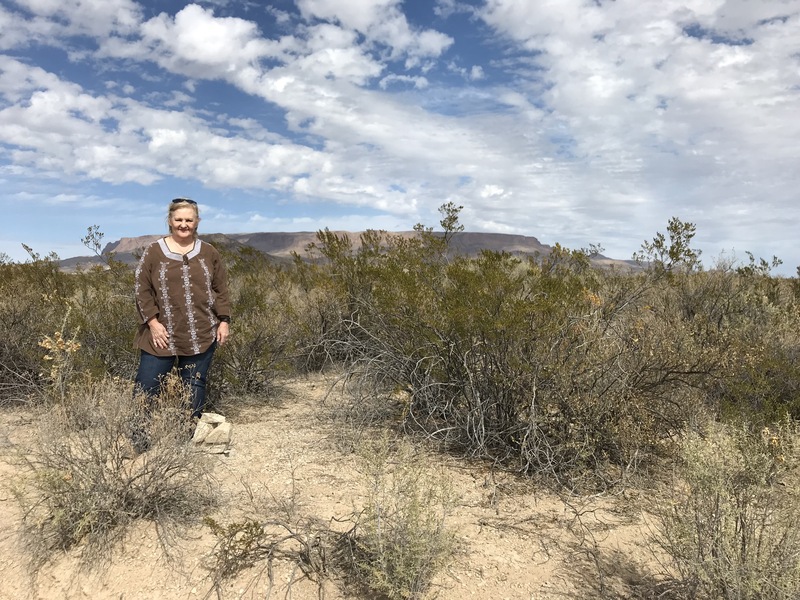 First on that list was to have our acreage officially surveyed and then to file that survey along with all requisite legal documents at the Brewster Country Courthouse and at the Tax Office. Done. 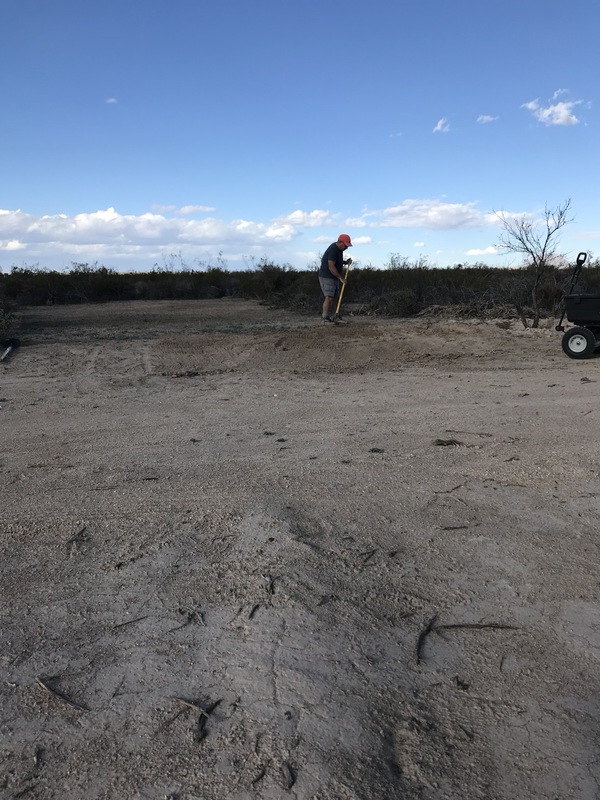 Once our survey was completed we arranged to have our turnaround (basically our driveway) done. 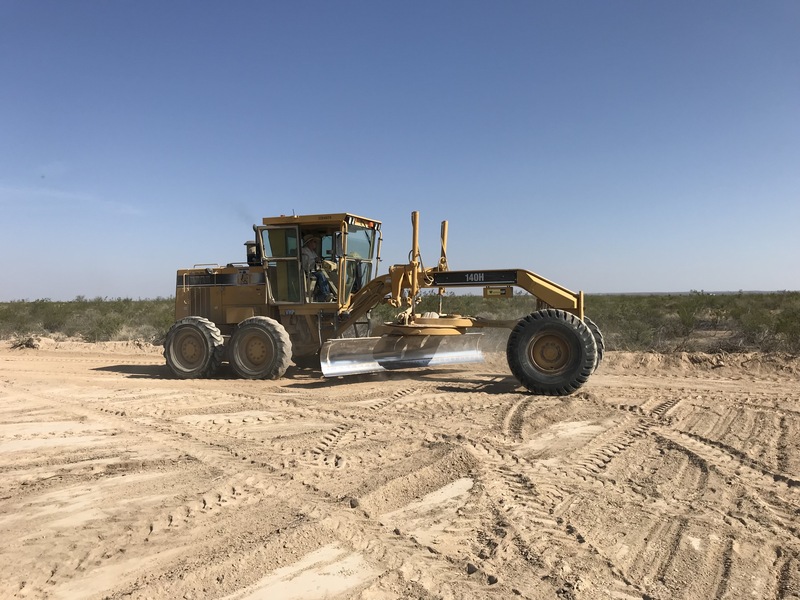 Watching the yellow Caterpillar sculpt our turnaround out of the desert floor was so much fun. As the big blade scraped away the creosote, it was easy to start imagining what this place can look like. The best part of its all was finally having access onto our property which sits a little more than a foot higher than the road. Cheryl and I opted to fence in our place, mainly to keep critters out when we camp. Enter an amazing group of friends who made two trips with me to get the job done. I loved every minute of the fencing. I certainly learned a lot about putting in posts that are straight and stretching wire and all of the others things that make for a fence that should outlast me by a hundred years. 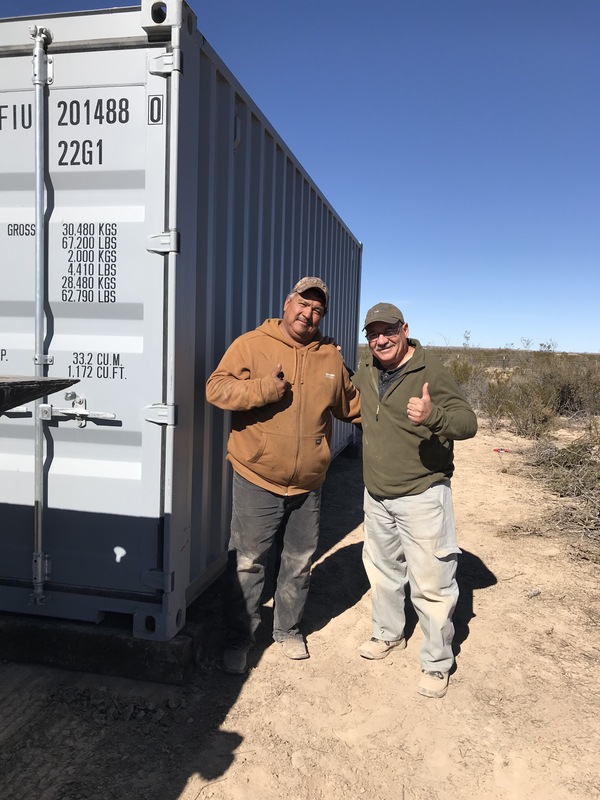 The final project we wanted to complete before the end of the year was purchasing and having a cargo container shipped to Dos Arbolitos. 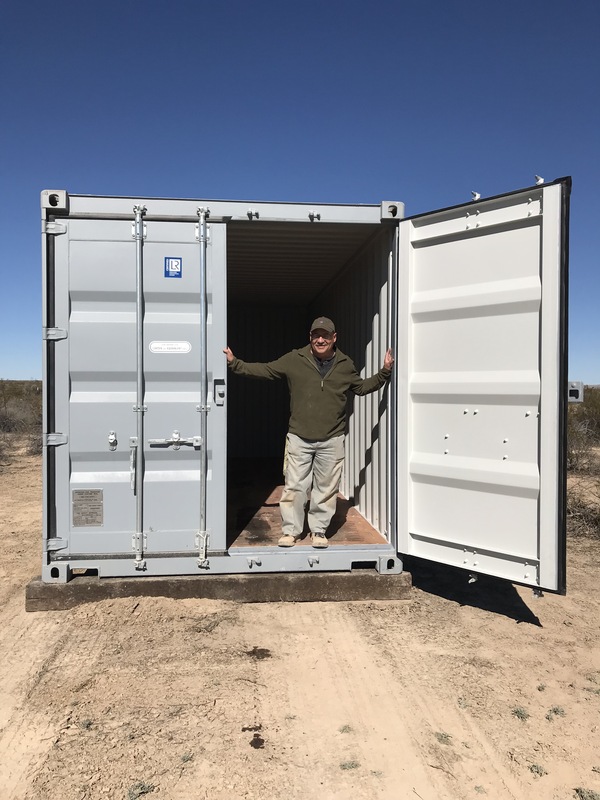 Earlier this month we purchased a container from Far West Texas Container Sales in El Paso and had it delivered two days after Christmas. 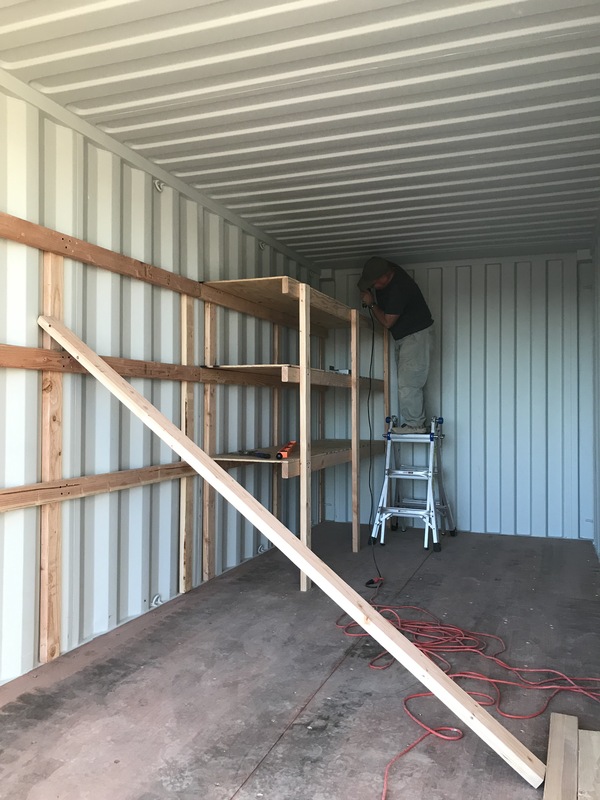 Having a place to store some tools and future building supplies is a big plus. Tom, with the container company, took good care of us and helped us each step of the way from purchase to arranging delivery. Cheryl and I drove out to Dos Arbolitos in the wee morning hours of the day after Christmas. We had to get a site cleared before the container arrived. So, we drove all night and worked all day but got the job done. The following morning, we met Mando, the freight company driver, in the parking lot of McCoys Building Supplies in Alpine. Mando was kind enough to let us load some railroad ties and lumber for shelving onto his truck. 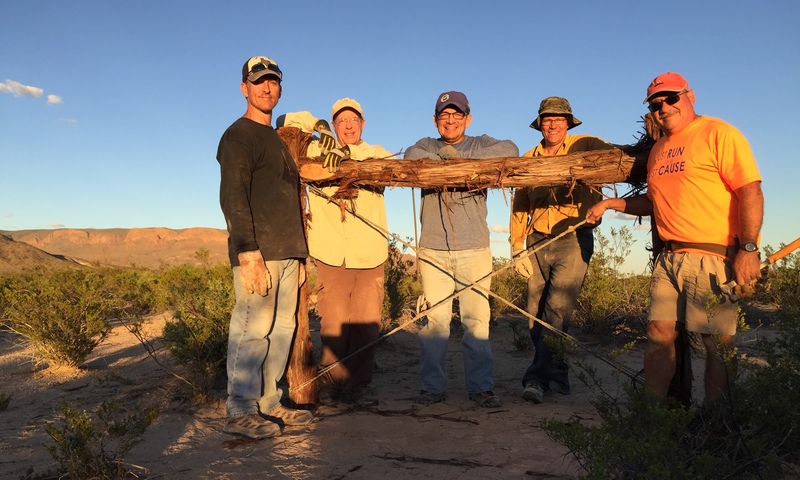 Once we arrived at Dos Arbolitos and showed Mando where we wanted the container, he helped us get the railroad ties in position and then he placed the container on the ties. He was spot on and positioned it perfectly. 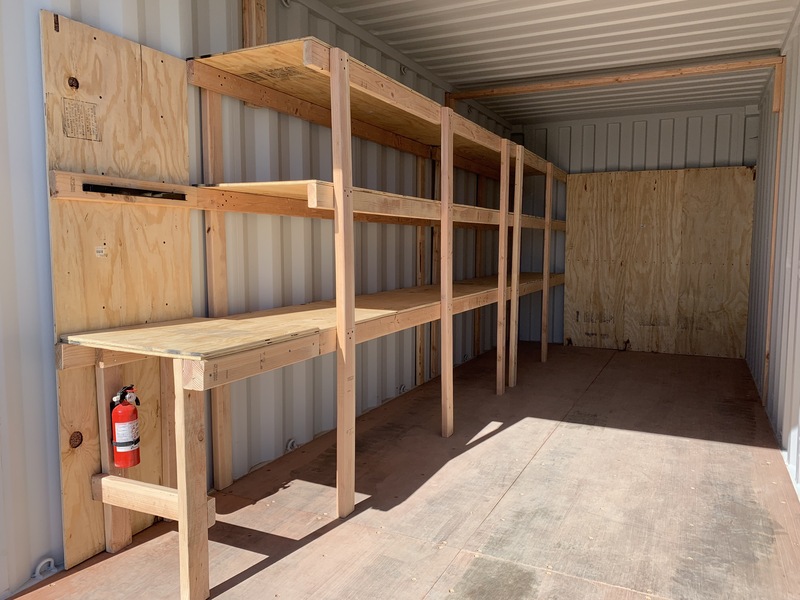 Cheryl and I spent the rest of our time building shelves and a small workbench inside the container. 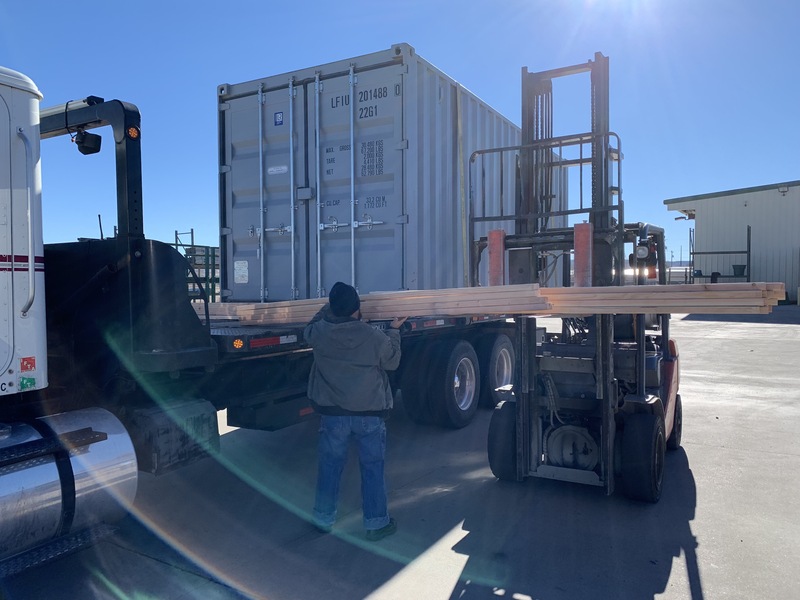 The best part was getting to leave our work stuff in the container and not having to haul it back to our home in Katy. And we still have so much room to store lumber as we look ahead to starting work on our little cabin next year. So, the past ten months have been a fun journey. We can’t wait for the day when we will actually have a little cabin with solar power and water catchment where we can sit and enjoy our bazillion dollar views. But, until then, we are enjoying every minute of the journey — of watching our dream unfold just a little bit at a time. We still have so much work to do and are pretty happy about that. It’s fun for us to do this together and with the help of good friends who are willing to drive across the state to lend a hand. Everywhere we look we see the kindness of God — a kindness expressed in practical ways through the hands of those who have blessed us with their presence and their hard work at Dos Arbolitos. Thanks for following our adventure. We can’t wait to see what the New Year will bring. When it comes to amazing vistas in Texas, the Trans-Pecos region is at the top of my list. 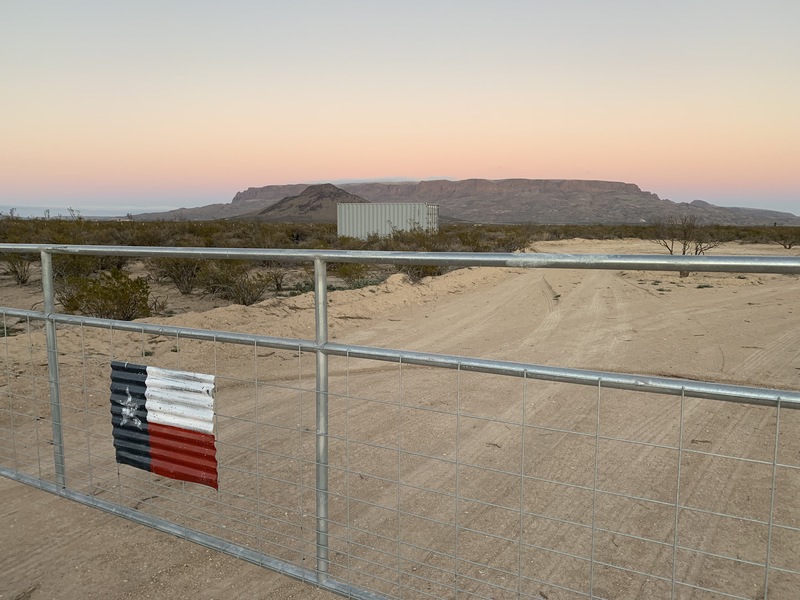 The expansive spaces, distant silhouetted hills, distinctive desert flora, deep in the heart of Texas skies, and mesmerizing chiaroscuro splashed across the faces of desert mesas all work together to create iconic Texas views. 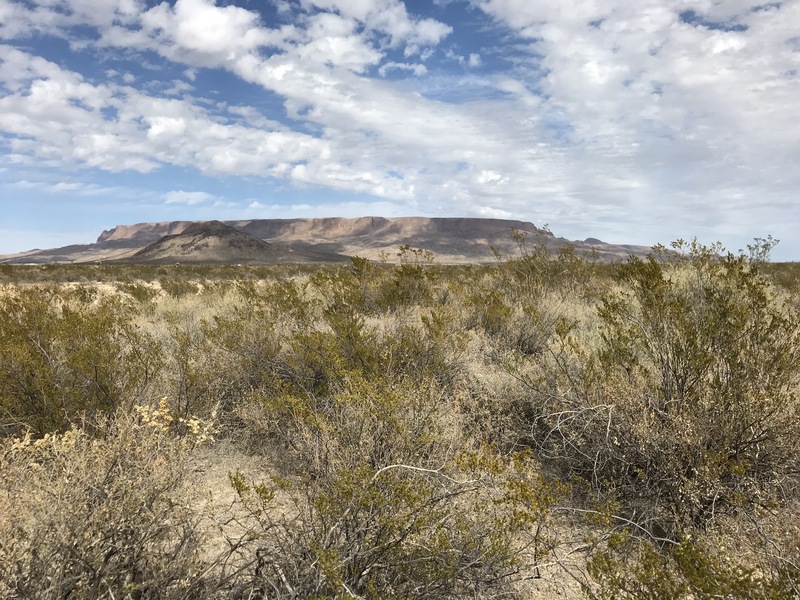 I first felt the call of the Chihuahuan Desert when I was a Boy Scout. 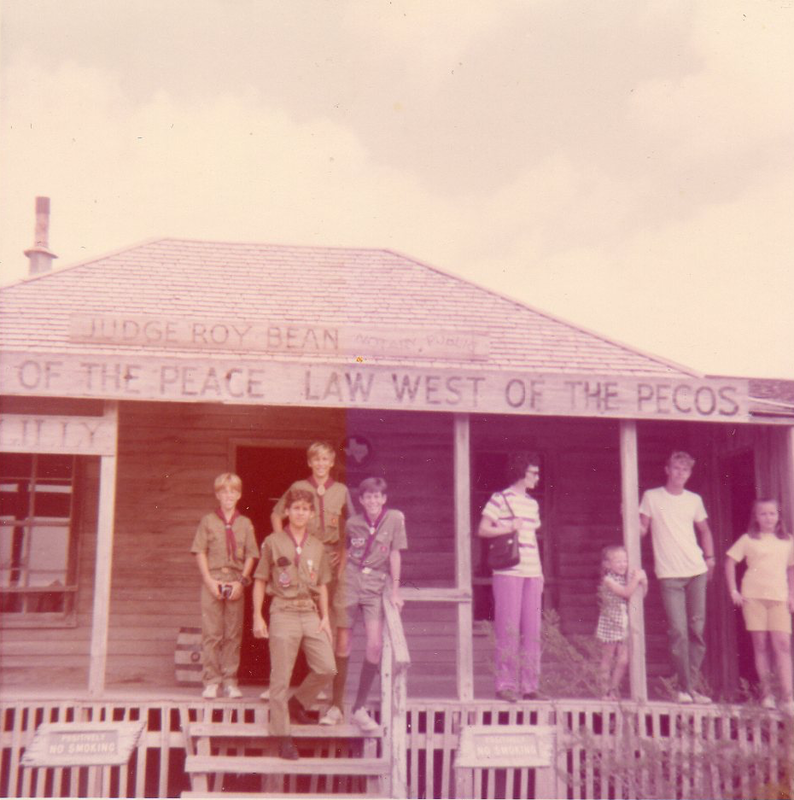 My grandfather’s stories about Judge Roy Bean, the Law West of the Pecos, stirred my curiosity about this part of the Lone Star State. I made my first trip to visit the Jersey Lilly when I was a Boy Scout and I was hooked. I loved everything about the desert. 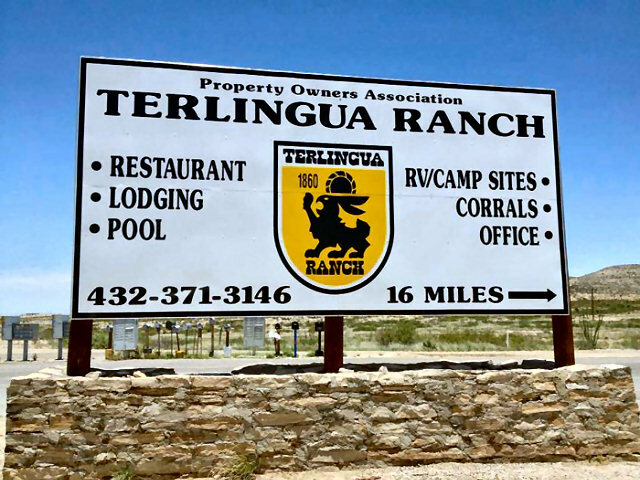 Throughout those years I came across numerous ads about Terlingua Ranch — a rugged 100,000 acres tucked between Big Bend National Park and Big Bend Ranch State Park. For little money, the ads touted, you could own a piece of Texas. These ads drew a lot of people to this remote region. Folks fell in love with what they found and the land started selling like hot cakes and continues to sell to this day. 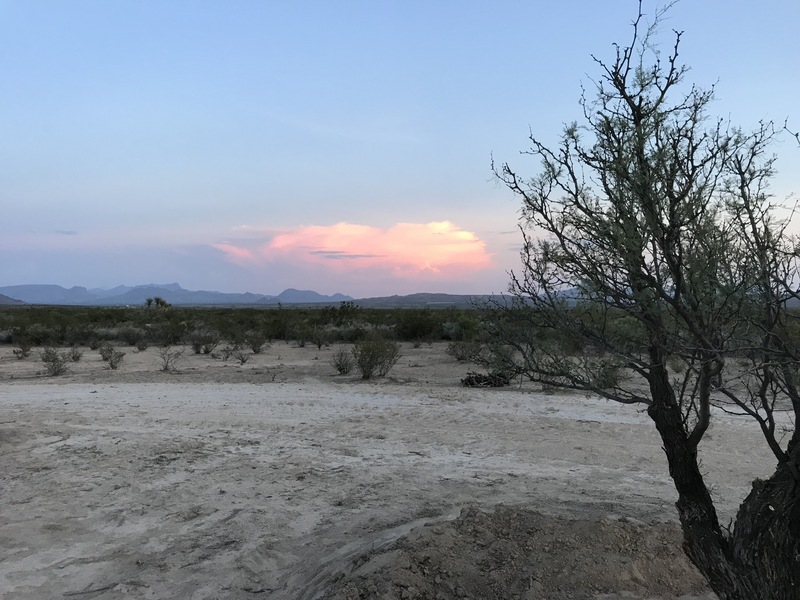 Last month, through the kindness of a friend, my wife and I were blessed with a remarkable gift — our own little slice of Texas at Terlingua Ranch. I had dreamed about this as a Boy Scout but never imagined that one day I might own land in one of the most iconic regions in Texas. 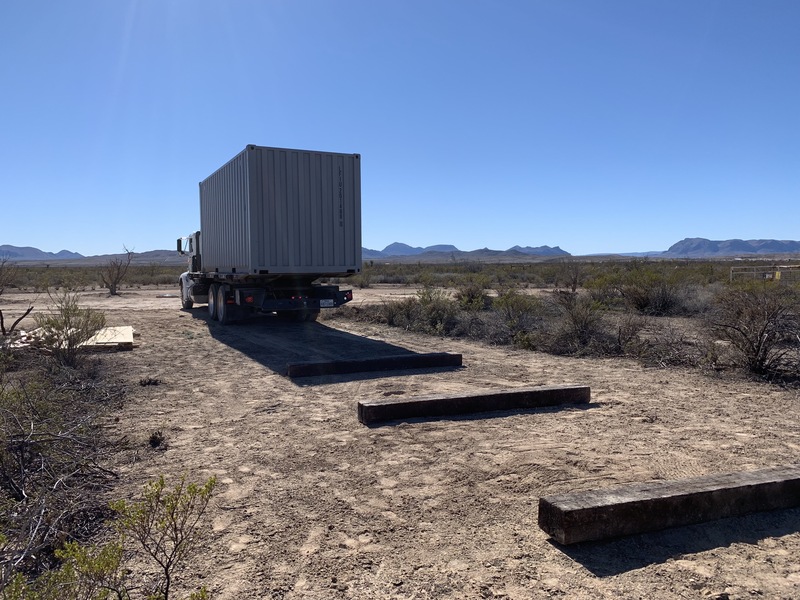 So, we begin a new adventure to develop a place to enjoy off-grid getaways. We are now the legal owners of a piece of property in the Big Bend Valley with million dollar views in every direction. 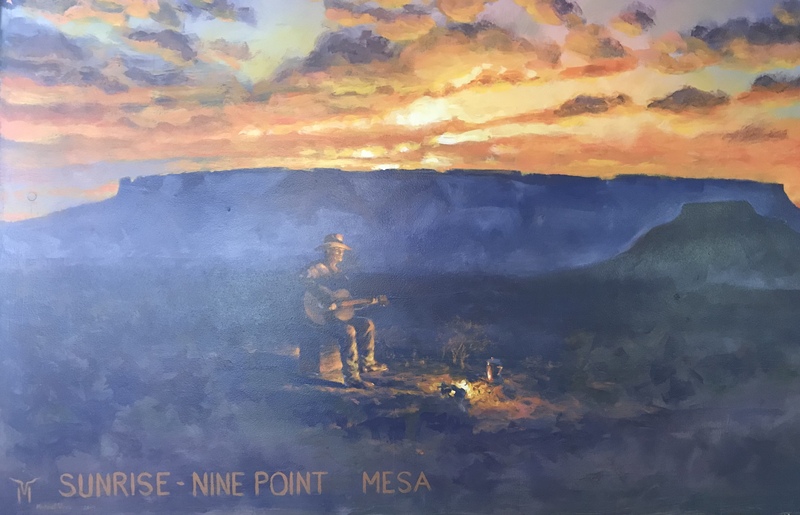 From our little place we can watch the sun rise over Nine Point Mesa to the East, enjoy the views of the Christmas Mountains to the South, and watch the sun set behind the distant mesas to the West. Amazing stuff any way you slice it. 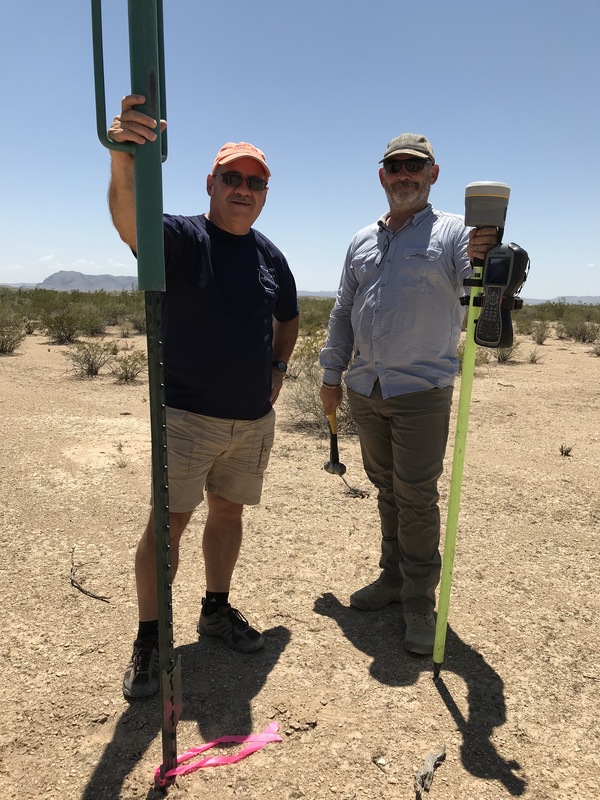 The next step is to have our land surveyed, confirm our corners, and get our metes and bounds document. Through the kindness of another friend, all of this is in motion. We are taking this a step at a time, don’t want to incur any debt in the process, and are excited about watching things unfold. Under the holy protection and the light of the heavens. As if they were bride and groom that loved each other. We are beyond thankful for this unexpected blessing. Whenever I need to clear my head and my heart, I always seem to head West toward the Chihuahuan Desert. And when I do, I always come home refreshed after enjoying the views, watching the sun set, and sitting under the stars. There are no words to express what it means to call Texas home and to have been blessed with Dos Arbolitos. I have added a new Dos Arbolitos category and will post updates as things continue to unfold. We know it is going to be a long process and we are committed to enjoying the journey. Thanks for following my adventures in the Lone Star State.